Today we have a couple of updates plus details of our free mobile magazine. You'll remember we posted this on Thursday and the first meeting since the research was Saturday afternoon. 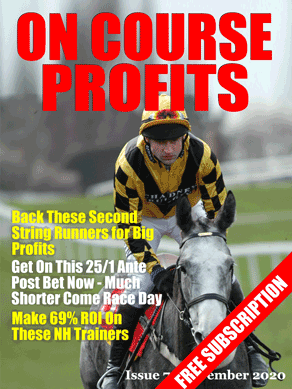 There were 6 qualifying races on the day and of the 6 bets 1 won with an SP of 8/1. So a good day, but the jury is still out on this system. This had a losing day yesterday with just a one 5/2 (BSP 3.74) winner from 6 qualifying races. exclusive content later this month, so it's well worth having and is totally free forever.